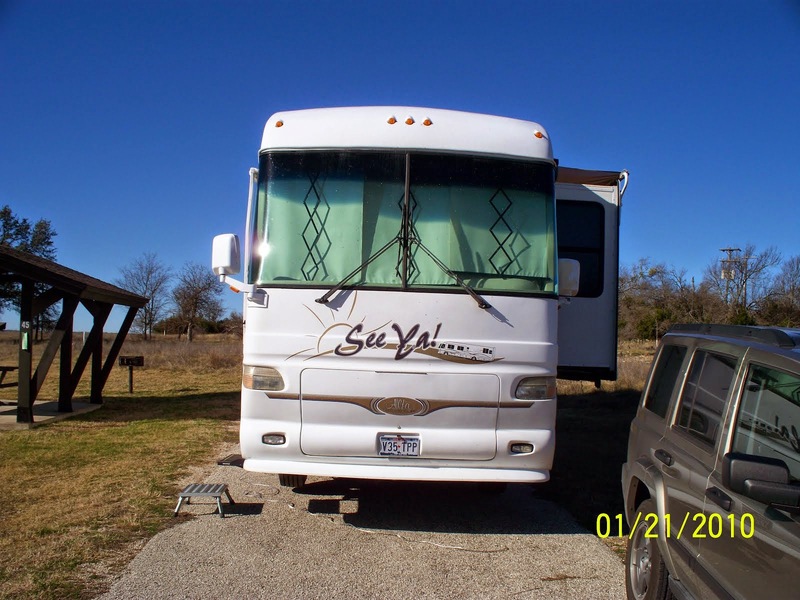 Kathi and I are still at the RV park near the Dancing Eagle Casino in Casa Blanca, NM. 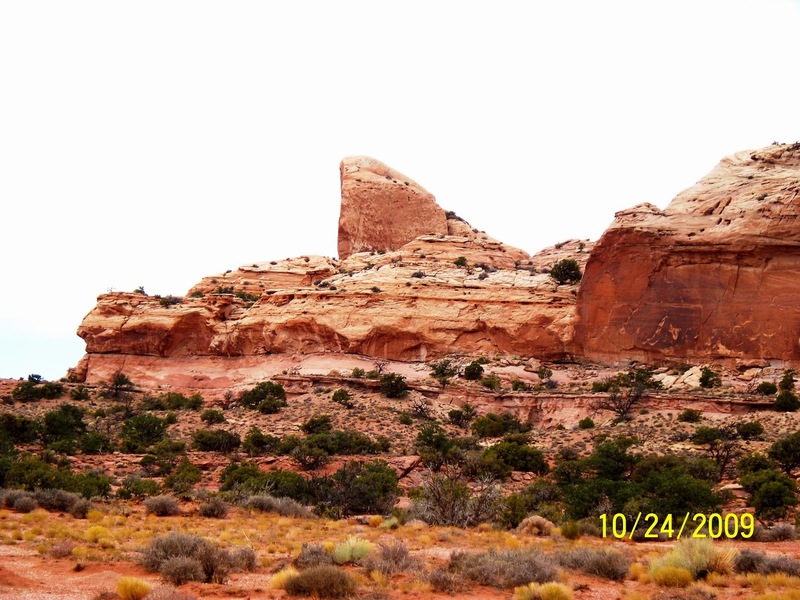 Last week we passed so quickly through Moab I did not discuss a lot about the Area. I did mention passing Canyonlands and Arches National Parks. 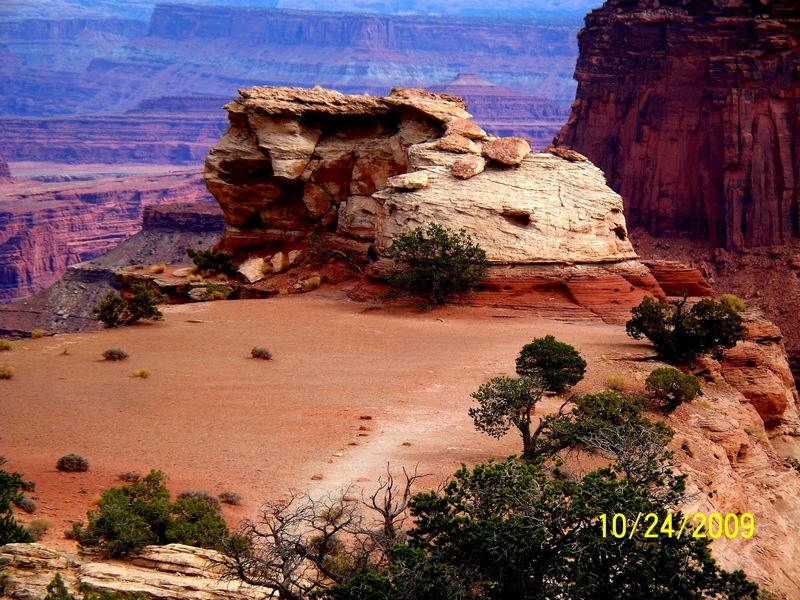 Today I am going to show some pictures from our visit to Canyonlands in October 2009. 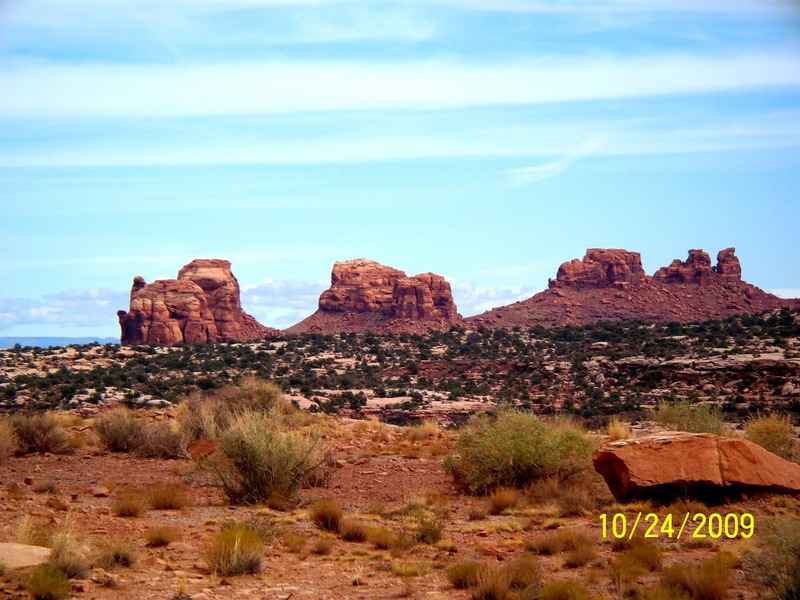 Canyon lands covers such a vast area, I am going to do multiple posts on Canyonlands. In this post I am going to concentrate on the rock formations and coloring. I think iron ore gives the rocks the bright red colors. 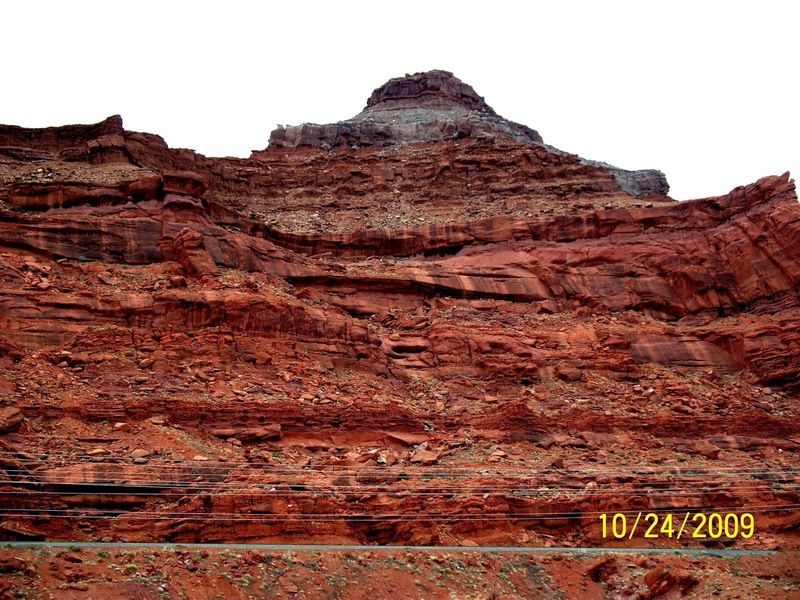 Rock formation in the park include, buttes, mesas and plateaus. 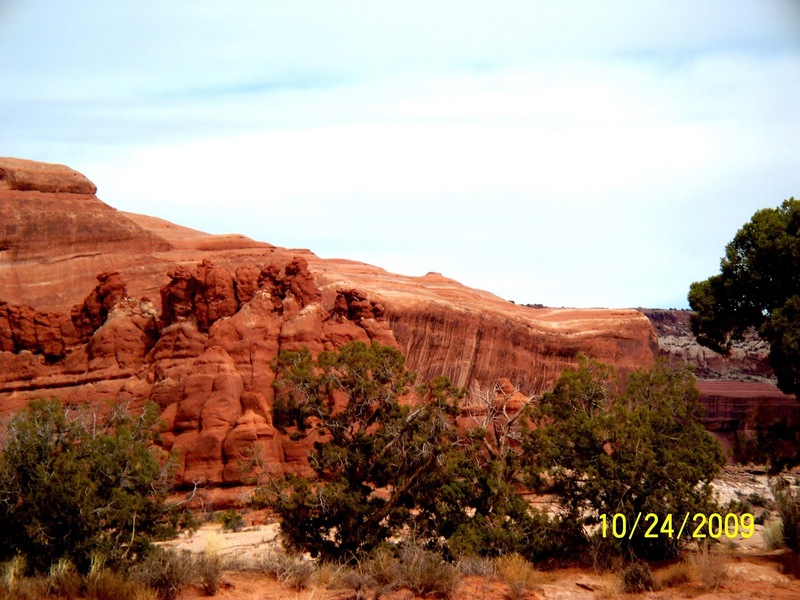 I love the contrast with the bright red rocks and dark green trees. 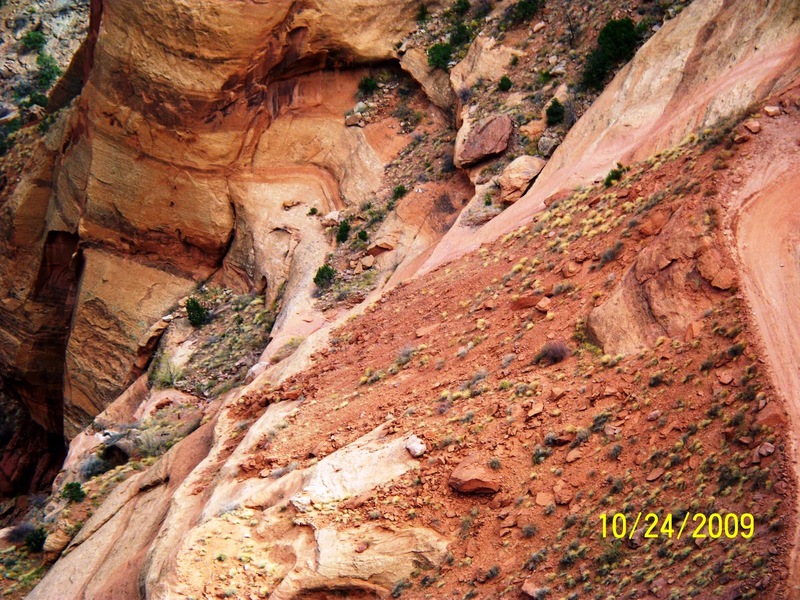 The canyons are created by the Colorado and Green Rivers. Rivers and their direction of flow that carved out canyons are guided and limited by snow melt. You get a small glimpse of the vastness of the park in this photo. 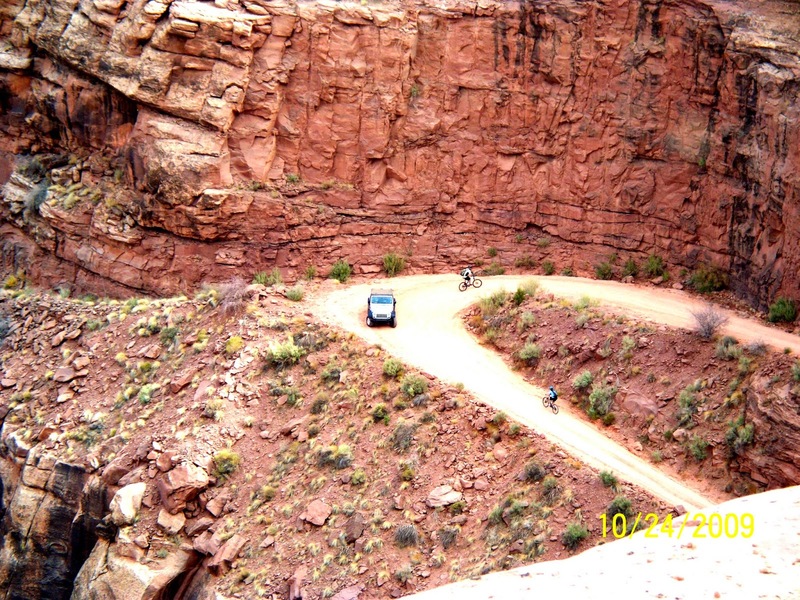 This road takes you to the bottom of the canyon. You have to admire the bikers that have the strength to get back up the hill. 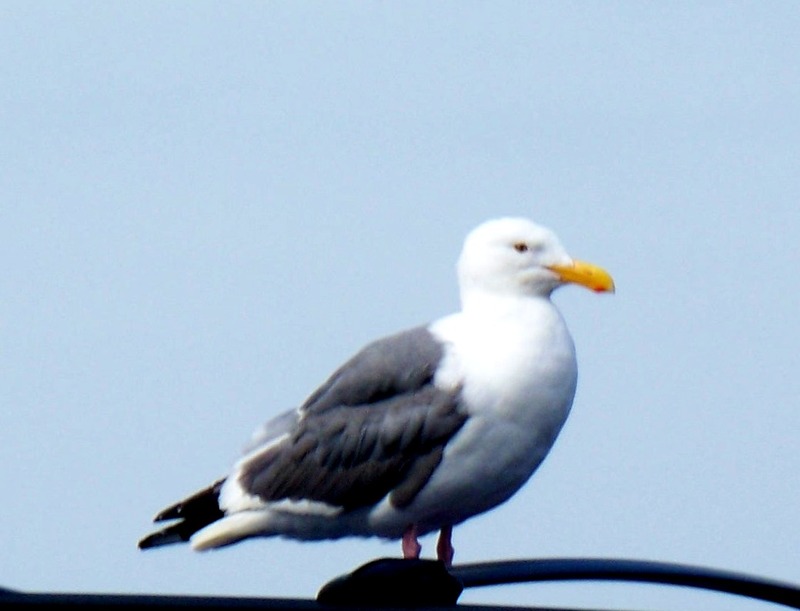 I like to take pictures down off the side of cliffs. The fascination may be from my fear of heights. Rocks in the park are primarily limestone, sandstone and shale.